Wells wrote this long before the neutron was discovered, let alone fission, and his work began to popularize the phrase “atomic bombs” before those devices ever took form beyond the author’s pages. But years earlier, people in the mountains claim another prophet lay on the ground, overcome with visions of a project that would bring the snaring of the sun to the hills of Tennessee. 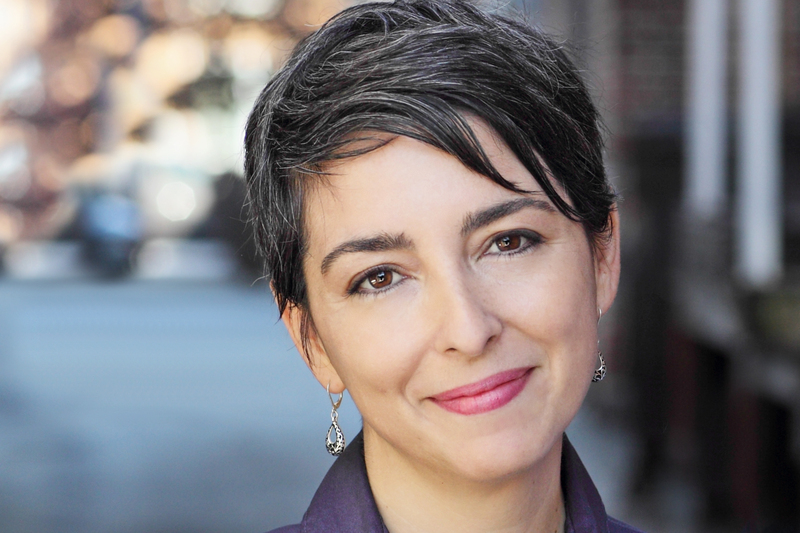 This reading group guide for The Girls of Atomic City includes an introduction, discussion questions, ideas for enhancing your book club, and a Q&A with author Denise Kiernan. The suggested questions are intended to help your reading group find new and interesting angles and topics for your discussion. We hope that these ideas will enrich your conversation and increase your enjoyment of the book. Introduction The Girls of Atomic City tells the true story of Oak Ridge, Tennessee, a secret city founded during World War II to help create fuel for the atomic bomb. Oak Ridge didn’t appear on any maps, but thousands of workers moved there during the war, enticed by good wages and war-ending work. Their jobs were shrouded in mystery, but the workers – many of them young, single and female – were excited to be “all in the same boat,” buoyed by a sense of shared purpose. But these hardworking young women also faced unexpected challenges. One young woman, Helen, was recruited to spy on her fellow workers. An African-American janitor, Kattie, faced daily discrimination and separation from her children in segregated Oak Ridge. Toni, a secretary, was mocked by her Northern bosses for her Tennessee accent. Dot, a factory operator, had lost a brother at Pearl Harbor and had two others still away fighting. Through it all, day in and day out, nobody knew what they were working on, only that they had been told it would help end the war. The secret wasn’t out until after the first atomic bomb, powered by an uranium enriched in Oak Ridge’s massive factories, fell on Hiroshima, Japan. Today, Oak Ridge and the other Manhattan Project sites continue to carry the legacy of helping to make the first atomic bomb a reality. 3. Discuss the role that patriotism played in everyday life during World War II. Do you think Americans today would be willing or able to make the same sacrifices – including top-secret jobs, deployment overseas, rationed goods, and strict censorship – that families of that era made? Why or why not? 1. Taking inspiration from restrictions on newspapers like the Oak Ridge Journal during wartime, try writing a censored news story about your book club meeting. The catch: the words “book,” “author,” and “reading” are censored and cannot be used in your article! 2. Listen to a recording of President Harry Truman’s radio address announcing Japan’s surrender at the end of World War II: http://millercenter.org/president/speeches/detail/3341. 3. In tribute to Kattie’s homemade biscuits baked in Willie’s hut, cook up a batch of Southern-style biscuits for your book club meeting! Try this simple recipe: http://www.foodnetwork.com/recipes/paula-deen/biscuits-recipe/index.html. 5. Visit Denise Kiernan’s interactive website, www.girlsofatomiccity.com, for a wealth of documents, photos, songs, and more related to the Oak Ridge workers’ contributions to the Manhattan Project. 1. Please tell us how you came to write about the women of Oak Ridge, Tennessee. When did you first learn about the ordinary people behind the atomic bomb? 2. Tell us about your research process. How did you find the women you interviewed? What other archives and sources were essential to your research? 3. You mention in your endnotes that it was extremely difficult to choose which women to feature in your book. (page 415) How did you ultimately decide? Are there certain stories that you regret leaving on the cutting room floor? 4. 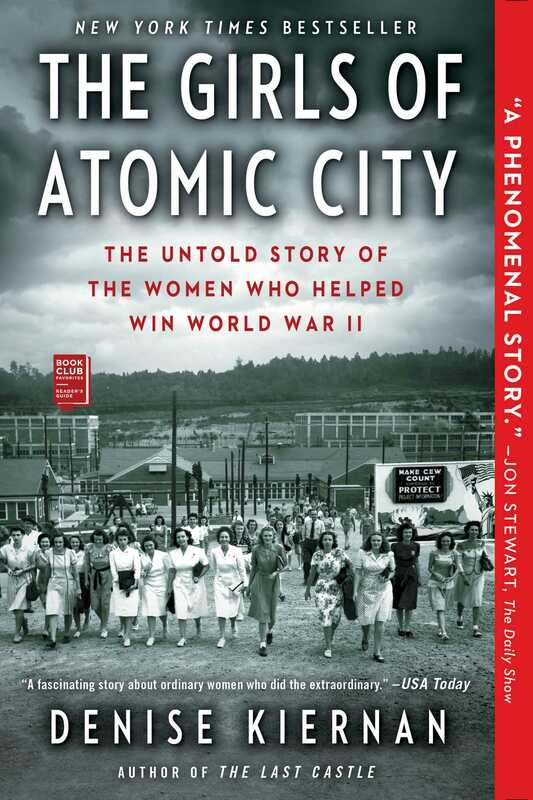 Please talk about the structure of The Girls of Atomic City , which reflects the secretive policy of “containment” within the Manhattan Project. How did you decide to narrate the book in this way? What were some challenges in explaining the bomb without actually naming it until the final chapters? 5. There are countless books and movies devoted to World War II history. Why do you think readers are perennially interested in this period? What new perspective on the war does The Girls of Atomic City provide on the era? 6. The development and use of atomic bombs during World War II is still a controversial subject. Did you have trouble maintaining an objective point-of-view as you were writing this book? Did your perspective on the ethics of the bomb shift over the course of your research? 7. The Girls of Atomic City presents complex scientific concepts, such as nuclear fission, in a clear and lucid way. What challenges did you face in learning and writing about the science behind the atomic bomb? 8. One important theme of The Girls of Atomic City is the inequality that women and minorities dealt with on a daily basis. Were the women you interviewed bitter about their treatment in the past, or did they remember the wartime years fondly? 9. From ordinary workers to brilliant scientists, there are plenty of women from this period who have been forgotten in popular history. Why do you think these stories are important to tell? Do you think readers today are fully receptive to women’s histories? 10. You previously published books about the men who signed the Declaration of Independence and the Constitution. What was it like to write about a much more recent period of history in The Girls of Atomic City ? 11. “‘All in the same boat” is possibly the most oft repeated phrase I heard while conducting interviews for this book, from both men and women.” (418) Why do you think the men and women you interviewed used that phrase so frequently? What does it capture about that time and place? 12. Imagine you were a worker at the Clinton Engineer Works. What job do you think you’d be best suited for? What kinds of work do you think you would have enjoyed the most and least? 13. What is the significance of this story today, in your view? What can we learn from the workers, scientists, and politicians behind the atomic bomb?